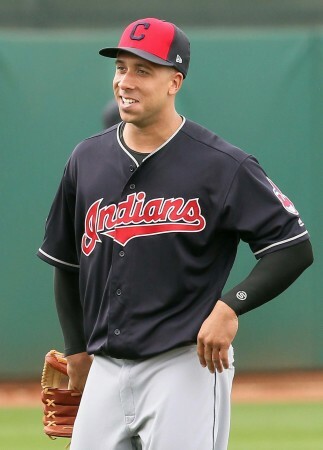 All Things Brantley, All Things Tribe: Is This Michael Brantley's Final Year as a Cleveland Indian? 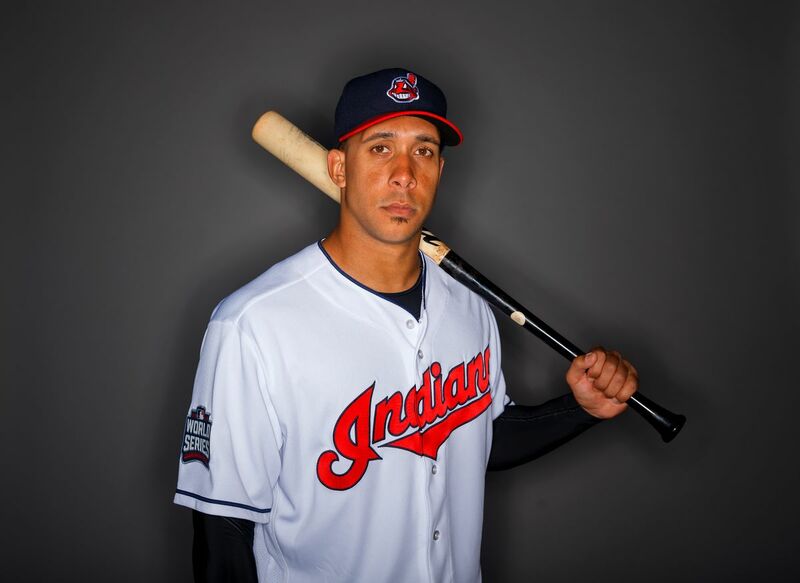 Is This Michael Brantley's Final Year as a Cleveland Indian? before i get started though, i want to discourage any smart-aleck remarks that this blog might produce. i am fully aware that a lot of fans at this point in time don't think Michael is ever going to get healthy and be able to play baseball again. and i've seen the "Michael should hang up his cleats" comments and tweets from fans. those people probably wouldn't think twice if Michael wasn't playing on the Tribe past this season, but i didn't write this for them. i wrote it because, as much as i don't want it to be true, i know that it could be and i felt compelled to acknowledge that. and i'm certain that Michael has other fans out there like me, who believe in him, have stuck with him through his difficulties, want him to come back, and would be genuinely upset if he were to leave the Indians any sooner than he has to contractually. so please save the "who cares?" utterances because some people still do. Grady Sizemore. for the record: i began a draft of this post in January, but have not had time to put the finishing touches on it until now due to my own personal health issues and the six other blogs i've written and posted in 2017 ahead of this one. so while i did not use Hoynsie for inspiration here, it does appear that great minds think/worry alike! prior to every new baseball season, i get very excited. this year, i still feel that excitement, except i also have other not so happy emotions as well. they include uncertainty, apprehension, and sadness. i should be nothing but eager and focused on seeing this Tribe team dominate in the AL Central Division and get back to the playoffs to fight for a championship. yet, i do have some worrisome thoughts and even though i try to push them out of my mind, i can't. the uneasiness comes from knowing that 2017 is Michael's last guaranteed season with the Tribe. the very idea that Michael may be getting ready to play his final year as a Cleveland Indian is scary. yes, there is a much higher probability that this notion will have more validity a year from now. but unless you're a new Indians fan, then you're familiar with how this front office is capable of surprising its fans in the harshest ways. you never know what they're going to do, especially when big money is involved. *when Michael finished 3rd in the 2014 AL MVP voting, he earned himself an additional $1 million base salary for 2018. despite that, i'm not sure if he already obtained that money, because the way bonus money is paid out versus how it's listed in a contract sometimes differs (for whatever reason). so for simplicity's sake, i'm going to continue to go with an $11 million club option salary, but please note that it may actually be $12 million. *keep in mind, they will all be getting raises for 2018 if they're all tendered contracts, which could add anywhere from $7-10 million more to that 2017 total. so assuming everyone is retained, then the grand total is currently $113,913,667. that's not even taking into account the increases for the arb eligible group, let alone the possibility for 1. any contract extensions, 2. re-signing Carlos Santana and/or Bryan Shaw, or 3. other free agent signings. now let's take out Michael's $11 million--that brings my approximate payroll down to $102,913,667. while it doesn't seem to open up a huge sum of excess cash, it might be an enticing option for the Indians to take that $11 mill and theoretically use it towards the arb eligibles or to sign someone(s) else cheaper, especially if Michael's 2017 season does not go how they'd prefer. next i'm going to talk about the first big act that could potentially contribute to Michael not returning to the club in 2018: if the Indians trade Michael at this year's July trade deadline. when the last week of July rolls around, i always get nervous. there have been several trades that happened in the past at this time of year that absolutely broke my heart. (remember the trades of Cliff Lee and Victor Martinez? gut-wrenching.😭) but if this were to occur with Michael, that would take the cake of heartbreak. as opposed to declining his team option for 2018, they very well could choose to deal him at the deadline. i can't even bear the thought that we might be less than five months away from losing him as ours. when conceptualizing this in the past, i would tear up as i envisioned reading the news online that Michael had been traded. so if it comes to fruition, i will be devastated for days on end. let me be more specific about precisely why Michael could end up in a deadline deal by listing out conceivable scenarios that could transpire and the resulting measures that the team might take. scenario #1: the Indians opt to trade Michael at the deadline because he had another setback and could not get back on the field prior to July. god forbid Michael should suffer another setback and develop pain again in the follow-through of his swing after playing in a few consecutive games in the spring and/or on a possible minor league rehab assignment. but if that happens, and he requires another long period of shots and rest and rehab, would the Indians agree to let him go in exchange for a player who is not dealing with health issues? scenario #2: the Indians choose to trade Michael at the deadline because, though he did return and play in the first half of the season, he had continued shoulder/biceps issues while he was playing and, therefore, couldn't produce on the field. scenario #3: the Indians decide to trade Michael at the deadline because, even though he did return and stayed on the field in the first half of the year, he couldn't produce with his bat. this is similar to my #2 scenario, except the difference would be if Michael didn't have any pain problems, yet he was racking up more outs with his bat than hits. would they consider him in a deal either to get someone in return or to just part ways with him? scenario #4: somehow the 2017 Indians team imploded due to several injuries and/or individual player slumps, causing the Tribe to be out of the playoff race by the All Star Break. this really seems unlikely, but if it were to materialize, the Indians could decide to dump some salary. and whether or not Michael was performing to their satisfaction, they might choose to let him go, save on the 11 mill for 2018, and get something helpful in return. scenario #5: the team believes it needs one more piece to give them their best chance to win the World Series, and the only way they can get it is to include Michael in a deal. imagine things go as planned in the first half of the 2017 baseball season--the team is performing well and so is Michael. but they have an opportunity to get a player who they believe could finally put them over the top and help them win the World Series. and what if they had to give up Michael in order to get that guy? (realistically, more players could be involved, but i'm solely focusing on Michael in this scenario.) would they do it? but wait. if they trade Michael at the deadline, couldn't he still return to the Tribe? yes! if Michael is traded in one of the above scenarios, the team he's traded to could decline his 2018 option and make him a free agent. then the Indians might try to work out a deal to bring him back for 2018 and/or beyond. but i'll tell you right now it's doubtful that this would come about because the two sides probably wouldn't agree to terms. another team might offer him a double digit contract, similar to what he was supposed to make with the Indians. and, if in the back of their minds, the Tribe also wanted to trade Michael in order to avoid paying that 2018 salary, then a reunion isn't gonna happen. now let's fast-forward to next offseason. assume that Michael made it through July without being traded and completed this season with the Indians. at that point, another harsh reality that could potentially contribute to Michael not returning to the club in 2018 would be: if the Indians decline Michael's $11 million option for 2018 and instead pay him his $1 million buyout. i'll just jump right into what may tempt the team into letting him walk after 2017.
scenario #1: Michael suffered setbacks and could not get back on the field. what if Michael had another injury-riddled season in 2017, suffered setbacks, required significant DL time, and barely appeared in any games/only played 11 or so games again? would the Indians decide he is not worth $11 million and allow him to hit the free agent market? scenario #2: Michael had off and on shoulder/biceps issues throughout the season, causing him to be ineffective at the plate. let's say Michael had spurts of health mixed with some sporadic pain that necessitated cortisone shots and rest periods. if his season contained multiple stop-and-gos and health regressions, and that led to him not playing to his usual capabilities, would they simply give up and not take a gamble on him with the 2018 option? scenario #3: Michael had great health, but his overall 2017 season turned out to be a disappointment. if Michael did get back on the field and played a mostly full season, but he didn't come anywhere close to hitting like he did in 2014 or 2015, would they decline his option and let him become a free agent? scenario #4: Carlos Santana played very well in 2017 and the Indians want to re-sign him, but could only do so if they decline Michael's option. i don't know if something like this would ever occur, where they'd be willing to let one player go in order to bring back another. but if they do want Santana to continue his time in Cleveland, he's going to cost them big. cutting Michael's salary by releasing him could be a source of their Santana funds if they indeed wanted to go that route. but wait. if they decline Michael's option, couldn't he still return to the Tribe? yes! if Michael's option is not picked up, there is the chance that he could be re-signed to the Indians for a lesser deal. however, another team out there, with cash to burn, might be willing to venture that Michael can return to being a clutch hitter and offer him a better contract. in that situation, the ball would be in Michael's court--what would he do? return to the team that gave him his first shot in the big leagues, the only team that he knows, or go where the money's at to take care of his family? now after all those scenarios i mentioned, some of you might be wondering, well, if the Indians do deal Michael at the deadline or decline his option after this year, who are they going to replace him with, if not someone from another team? so let me explore: who could the Indians replace Michael with in the OF that they already have in the organization? those four seem like givens. and after everyone goes through spring training in 2018, it's possible that Bradley Zimmer, Yandy Diaz, or Greg Allen could be ready to break camp with the Indians as well. Zimmer and Diaz finished their 2016 seasons with the Triple A Columbus Clippers, while Allen has never played above the Double A level (with the Akron RubberDucks). these three guys are all in Major League camp this year, and it's been announced that this trio will be starting 2017 in Columbus. but who knows, maybe one ends up playing in Cleveland quite a bit this year and has a breakout season like Naquin recently did in 2016.
so looking ahead, if the Indians feel Zimmer/Diaz/Allen is ready to open with them in 2018, then they might choose to decline Michael's option and use one of them as his replacement. one of the three could either play LF themselves, or else the Indians could move Almonte or Guyer over to LF as their new primary spot in the outfield. let me use Zimmer as an example here and add him to the above group of four. between him, Naquin, and Almonte, those are some low-priced outfielders. Guyer's not gonna make more than $3 million at any time with the Tribe either. then if the team also added Diaz or Allen to the squad, whether for 2018 or not until 2019, well, that's money they would save by not being obligated to pay Michael's $11 million contract or his future salary. or, if the Indians did pick up Michael's option and he stays with them through 2018, and Zimmer/Diaz/Allen also played in the OF in 2018, then the Indians might be completely content with letting Michael go after next year because they'll have much cheaper, not to mention YOUNGER, outfielders in the form of one or more of this group to take his spot. i have to admit, sticking with the kids and looking to the future is an attractive choice for a team that isn't normally open to retaining their free agents. that said, it must be emphasized that they are still kids. sure, the team has faith that they'll be just as good as Michael. and they could be...someday, but for the immediate future, we can't count on that. don't misunderstand me, i get the same joy that the front office people do when a guy from Triple A debuts with the Tribe and does well. so i'm not going to tear down Zimmer or Diaz or Allen and use their inexperience to make a case to keep Michael. i'm plainly going to argue that we already know what Michael's capabilities are and how great a player he is. quite frankly, the Indians would be making a huge mistake if they severed ties with him any sooner than was absolutely necessary. i think he's definitely worth the money to bring back at least for 2018.
in a perfect world, Michael would play a lot in the 2017 season and acquire his typical above average stats. then the Indians wouldn't hesitate to pick up his 2018 option because they'd know that he will earn it. besides, trying to find a player, in free agency or through a trade, who can do what Michael does, will assuredly cost more than the $11 million option anyway. or, in a really perfect world, Michael would play a decent amount in 2017 and put up above average stats. then, before the 2018 season starts, he would have leverage to sign another extension and remain with the team maybe through 2019. but i have to ready myself for the worst. i KNOW truthfully Michael's gone after 2018, should he stay with us through 2018, regardless of his health. because if he does in fact reemerge as one of the best in the game, then this team is not going to be able to afford him. and like i stated above, they may not even consider holding on to Michael for next season or re-signing him after 2018 as a necessity if one or more of Zimmer, Diaz, or Allen has shown they can positively impact the big league team by then. those younger and inexpensive players, who are currently being groomed for the future, will naturally be the ballclub's focus. i get that, but it still makes me sad for Michael. however, before we get to the July trade deadline or 2018, we still gotta find out if Michael's biceps tenodesis (surgery) that he had on August 15, 2016, truly worked or not. i have been keeping up with all the news and his progressions and tweeting everything accordingly, so give me a follow on twitter @clevelandgirl23. and if you want to receive email notifications whenever i publish a new blog about Michael, then go ahead and sign up for those alerts under the Blog Archive sidebar on the right side of this page!